These are the views of Olufemi Segun, an architect, in Lagos. Segun told DAILY INDEPENDENT that he is now enjoying marital bliss after his travails with infertility. The erudite architect said, “I exchanged marital vows with my wife in 1991. We did not envisage any challenge in having a child as a newly wedded couple. We believed that conception would normally take place as my wife did not have any history of uterine or pelvic complications. We tried to have a child for about two years without success, so we decided to seek for medical advice. “However, subsequent events proved otherwise. Result of tests showed there was a problem and that the only solution of becoming parents was to undergo In vitro fertilisation (IVF) treatment. The determined couple would hardly forget the experience of the last eight years as their marriage story changed. Segun who is now a happy father of four children said that the process was not easy. “First, we went for initial diagnosis, after which we embarked on a series of private IVF cycles. The first showed that 16 eggs were fertilised and my wife tested positive following a pregnancy test two weeks after her implantation. We were elated, but it did not last long as she started bleeding and the pregnancy was lost in the process. “However, we did not lose hope. We went through two more cycles none of which was successful. None resulted in a pregnancy. We persevered and did not allow the huge financial burden, including the emotional distress to frustrate us. It became clear to us that the success of the IVF process was unpredictable. Segun and his wife, Bisi represent hundreds of thousands of Nigerian couples with success stories of multiple IVF cycle treatment following their unwavering spirit. Though it not debatable that many couple fail to have a child after the first IVF cycle, it is also true that the chance of having a baby increases the more times they try. Studies have confirmed that most couples fail to have a child with their first IVF cycle. Unfortunately, statistics shows that about 45 per cent of couples who fail on the first cycle never try a second or third time. Regrettably, are proven evidence of high cost of IVF. So determination is the rule of the game in IVF. Perhaps more cheering are that results of latest researches which show that IVF is less expensive when purchased as a multiple-cycle package than as a single package. 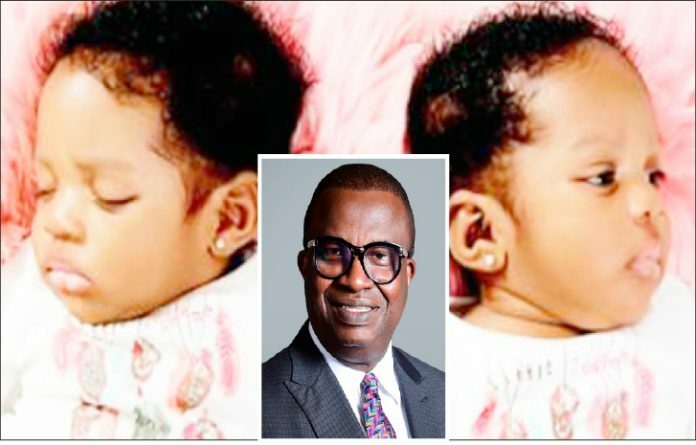 Dr Abayomi Ajayi, Medical Director, Nordica Fertility Centre, Lagos, Abuja and Asaba, explained that women under the age of 40 should be offered at least three IVF cycles, more so if they have failed to conceive naturally for two or more years. Ajayi who advised women to go for multiple IVF cycles, noted that one IVF is more expensive than the multiple package. According to him, Nordica multi-cycle packages maximise women’s chance for success by giving them more attempts, at a lower cost. Ajayi said IVF is a fertility treatment in which sperm and eggs are combined in a laboratory. The resulting embryos are assessed for quality, and one or more are placed in the uterus through the cervix. The big difference between an IVF cycle and a regular menstrual cycle, according to him, is that ovulation does not take place in an IVF cycle. Instead, the eggs are retrieved at maturation and are fertilised in the IVF lab to create embryos. Citing a study published in the Medical Journal of Australia, which reported the cumulative live birth rates after ovarian stimulation cycles, Ajayi said the research has shown that women who undergo multiple cycles of IVF are more likely to have a baby. Making reference to the journal, Ajayi explained, “The rates of success are higher for younger women, adding, couples have been known to have up to 65 per cent success rate after six attempts, after which the chance of a baby increases with subsequent cycles. “At present, women, who are trying assisted reproduction are counselled about the low chances of success before they start on the treatment,” Ajayi explained. According to the fertility expert, the study looked at chances of having a baby successfully after several rounds of IVF or other types of assisted reproduction techniques. He said, “Until now, there was no data on the success rates of multiple cycles vis-a-vis single or a couple of cycles of IVF. This is the first long-term data that researchers have. Ajayi further explained, “In women, who started IVF before 30 years, the rate of success after first cycle was 43.7 per cent and rose to 69.2 per cent (conservative estimates) or 92.8 per cent (optimal estimates) at the seventh cycle. He assured that a woman who tried the multiple cycle plans, and got pregnant; her financial balance would be returned to her. “That is economically okay, because most clients pay out of pocket. Except for a few banks that have a policy that covers assisted fertility therapy, including IVF, most fertility-challenged couples pay out-of-pocket by saving up. “Also, there is no insurance cover for fertility challenged couples at the moment in the country. It is seen as a personal issue,” he lamented. “Fertility-challenged couples can be supported through a Public-Private-Partnership (PPP) arrangement to ensure sustainability of the facility, but as long as it is just some private clinics doing it, IVF is bound to be expensive,” Ajayi stressed. He further said the success rate of fertility clinics should be part of the parameters used by potential clients to evaluate IVF clinic before seeking treatment. “There are certain factors that couples might want to consider when choosing a fertility clinic, such as the implementation of a quality management system, experience and track record of the clinic, ethical practice standards and collaboration with international clinics,” the gynaecology expert added. Multiple-cycle IVF packages also reflects the recommendation of the World Health Organisation (WHO) for women below 35 years to undergo at least two cycles, while those above 35 years should undergo three cycles to improve their chances of success.